New Delhi [India], Dec 1 : In a major development Indian High Court has ordered that water from the river Tamirabarani in the south Indian state of Tamil Nadu must not be diverted to Coca-Cola and Pepsi producing plants in Gangaikondan due to the severe water shortages in the area. The Madras High Court passed the interim injunction disallowing river water to the bottling plants for two months on November 21, 2016. The order was obtained by India Resource Center this week. A 41-year-old mother-of-three from Portsmouth, Kathy O’Sullivan, is so addicted to fizzy drinks that she consumes six litres of Coca Cola every day. She feels distressed and suffers withdrawal symptoms if ever she tries to keep herself off the sugary drink. The six litres she guzzles daily contains 163 teaspoons of sugar, which sum up to 2,400 calories. The habit has left Kathy so anaemic that she requires three blood transfusions. And to worsen it all, the woman by birth has only one kidney. She now fears that if she is unable to stop anytime soon, her habit could one day kill her. 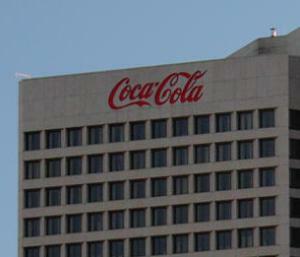 Coca-Cola, the leading beverage company, disclosed its recent investments in health research in the US. The company claimed that it made an investment of $118.6 million on health research over the past five years. The company is learnt to have recently pledged for funding of more such researches in the coming years and making the interments public. Earlier, the company made a huge investment in a Global Energy Balance Network. The company’s move, however, is also being tagged as a cover-up exercise for the sugar-rich drinks it has been serving to the world and leaving the consumers obese. Greece's economy has been going through bad time over the past six months. The country has although hammered out the terms of a new _85bn rescue with its creditors, but it seems that consumers are still willing to spend on small luxuries, like a bottle of Coca-Cola. 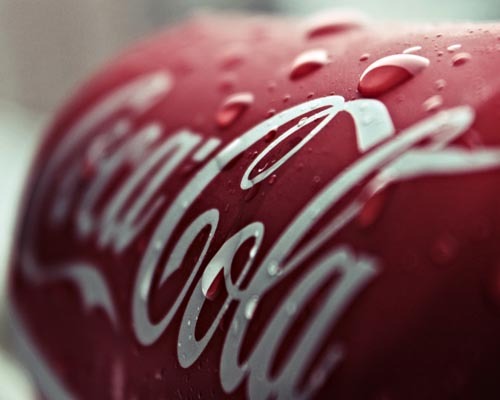 Coca-Cola Hellenic (Coca-Cola HBC), one of the world's largest Coca-Cola bottlers, announced that its sales in Greece rose marginally in the first half of the financial year to July 3, despite tough economic back drop. Coca-Cola HBC was once the biggest quoted company in Greece but in 2012 it decided to quit the cash-strapped country and pursue a stock market listing in London. A backlash has come from Coca-Cola against reports that said the soda-maker has invested millions of dollars into a scientific group which says that obesity is often blamed to what people eat and drink, rather than lack of exercise. The New York Times reports have claimed that Coca-Cola has provided financial and logistical support to the Global Energy Balance Network, a non-profit that emphasizes that lack of exercise among obese people is the major cause behind their plight, not unhealthy choice for diet. Coca-Cola is emphasizing regular exercise to stay prevented from obesity. The soda company is doing nothing to encourage people to not consume unhealthy food to keep obesity at bay. A report showed that the company invested in a new nonprofit called the Global Energy Balance Network to help people understand the importance of only exercise to deal with obesity. The company is making no efforts to educate people about how much obesity risk is posed to them by consuming unhealthy foods. "In response to requests based on state open-records laws, two universities that employ leaders of the Global Energy Balance Network disclosed that Coke had donated $1.5 million last year to start the organization", said the report from The New York Times. According to reports, Coca-Cola, which is the largest producer of sugary beverages in the world, is supporting a new "science-based" solution to problems of the obesity. It is suggesting that one should maintain a healthy weight and exercise more. People should worry less regarding cutting calories, the company said. The company is working in association with leading scientists who are spreading this message at conferences, in medical journals and through social media. Coke has supported a new nonprofit organization known as the Global Energy Balance Network which believes and promotes that Americans who are conscious about weight, are too stuck on how much they are consuming compared to how much they are working out. Living up to its tagline ‘Open Happiness’, The Coca-Cola Company once again has come up with its Founders Program, this time in a completely new avatar! 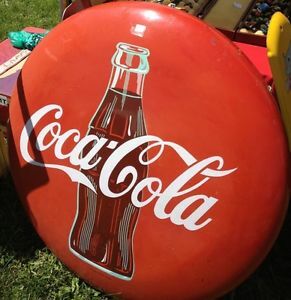 The Georgia, Atlanta-based carbonated drink company, Coca-Cola got registered in the United States on March 27, 1944. Since then, with its strong force of 129,000 employees, it has captured an enormous market share in food and beverages segment. Its intricate supply chain management ensured it the spot of the world's most valuable brand in 2011 (Interbrand's best global brand study). Today, Coca-Cola’s market cap stands at $179 billion. After Coca-Cola Bottling announced better profit compared to market expectations, the stock touched a new 52-week high during trading on Monday. The company traded up to $108.00 and closed at $107.90. Earlier, the stock had closed at $106.65. In a research note on Friday, analysts at Citigroup Inc. set a $112.00 price target on shares of Coca-Cola Bottling Co. Consolidated, an improvement from its earlier target of $100.00. The stock has been rated by three equities research analysts with a hold rating. And a buy rating has also been issued for the company by three analysts. Currently, Coca-Cola Bottling Co. Consolidated has an average rating of 'Buy'. The CEO of world's largest beverage company Coca-Cola, Muhtar Kent was offered a pay package of $18.1 million in the previous years after the company failed to meet its own growth targets. Kent, 60, has been working with the beverage company since 2008. According to a filing made on Thursday with the Securities and Exchange Commission, the compensation is on par with the $18.2 million, which Kent received in 2013. It is said that Kent's pay package might have been higher if Kent had accepted a $2.5 million cash performance bonus. Kent said in a statement that he decided not to accept the bonus because the company has been planning to take some important decisions to improve its performance, and therefore there was a lot of work left to be done. London, Dec 02 - The latest advertising campaign by Coca-Cola for their new milk product was condemned as "sexist" by the consumers over naked women being pictured in milk dresses. The Fairlife poster campaign features a series of tag lines also including "Drink what she's wearing," and "Better milk looks good on you," the Mirror reported. Some people took to Twitter to criticise the campaign, claiming it was old-fashioned, while others branded it "nonsense." 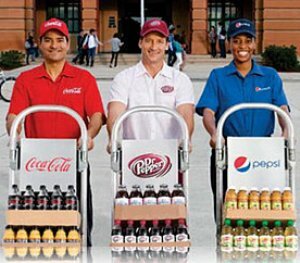 Washington, Sept 24 - Aerated beverage companies like Coke, Pepsi and Dr Pepper have said that they will work to reduce the calories Americans get from beverages by 20 percent over the next decade. The companies also said that they will achieve this by more aggressively marketing smaller sizes, bottled water and diet drinks, the Huffington Post reported. The announcement was made at the Clinton Global Initiative, where the industry group said that the new commitment will accelerate the calorie-cutting. A Whitehall adviser on nourishment, who has worked for Mars and Coca-Cola, stated that radical UN proposal to split sugar consumption won't be actualized in Britain. Educator Ian MacDonald, leader of a board of health masters accountable for drawing up rules on sugar, said it will 'not act' on the World Health Organisation's proposal. Jim O'Hara, health promotion policy director at the Center for Science in the Public Interest, said that the suggestions in the ad that strongly hinted on Ligety's success was due to his consumption of Coca-Cola, would have made a wrong impact on many young girls and boys. New Delhi, Feb 18 : Coca-Cola said Tuesday its sales volume increased by one percent in the October-December 2013 period, led by 8 percent jump in India and 5 percent growth in China. "Our Pacific Group's volume grew 4 percent in the quarter, representing a sequential improvement versus the third quarter year-to-date results. Growth was broad based with 8 percent growth in India, 5 percent growth in China and 3 percent growth in Japan," Coca-Cola said in a statement here. For the year 2013, the company's volume increased by 2 percent. Beverage giant, Coca-Cola Co has acquired a 10 per cent stake in Green Mountain Coffee Roasters Inc for USD 1.25 billion. Green Mountain Coffee Roasters is the maker of popular Keurig one-cup coffee brewer and the acquisition will allow Coca-Cola to expand its presence in the segment. The investment by Coca-Cola will allow the company to launch its new cold drink machine that is expected to be released in October. Chatta (Uttar Pradesh), Oct 24 : Coca Cola Company opened a new, state-of-the-art bottling facility at Chatta in Mathura district Thursday, commemorating 20 years of operations in India. The greenfield plant is Coca-Cola's 58th manufacturing unit in India, set up by Brindavan Agro Industries (P) Ltd, the beverage company's franchise bottler in Uttar Pradesh. Guy Wollaert, senior vice-president and chief technical officer, inaugurated the plant which will provide employment to over 225 people.